We offer a variety of Interventional Radiology: Biopsies, Aspirations, CT Guided Biopsies, Arthrograms, Ultrasound Guided Biopsies, Myelograms, Paracentesis, FNA Thyroid and Para-thyroid, Breast Biopsies, Stereotactic Biopsies. 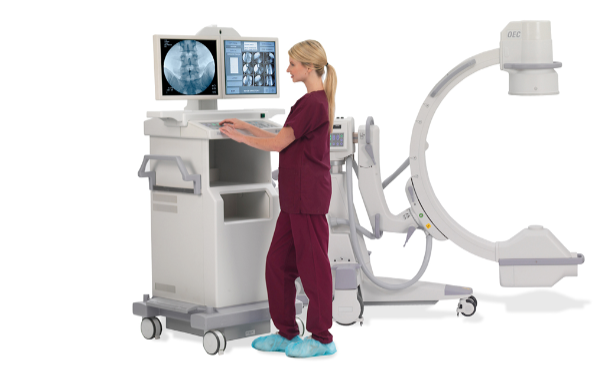 Our interventional radiologists are experienced and highly trained in performing all procedures that we offer. Our schedulers will instruct you on how to prepare for your procedure. Please inform if you are on any blood thinners. To ensure the quickest results, please advise our schedulers of any prior ultrasound imaging that has been performed at a different facility. Plan to arrive at least 15 minutes before your appointment to allow time to process your registration. Your technologist will greet you and take you to a locker room to change if needed. All procedures are different. Your technologist will explain the procedure thoroughly and answer any questions that you may have. Pathologist is present for FNA and Parathyroid aspirations to ensure adequate tissue collection. Once your procedure is complete it will take about 24-48 hours to be faxed to your doctor. If your doctor has access to our online PACs system results are available within 24 hours unless we are waiting on outside priors. If your exam was ordered STAT your doctor will have results within one hour after your exam. STAT results are not available immediately for biopsy as results are finalized by our offsite pathologist. For any questions regarding your procedure please call us.